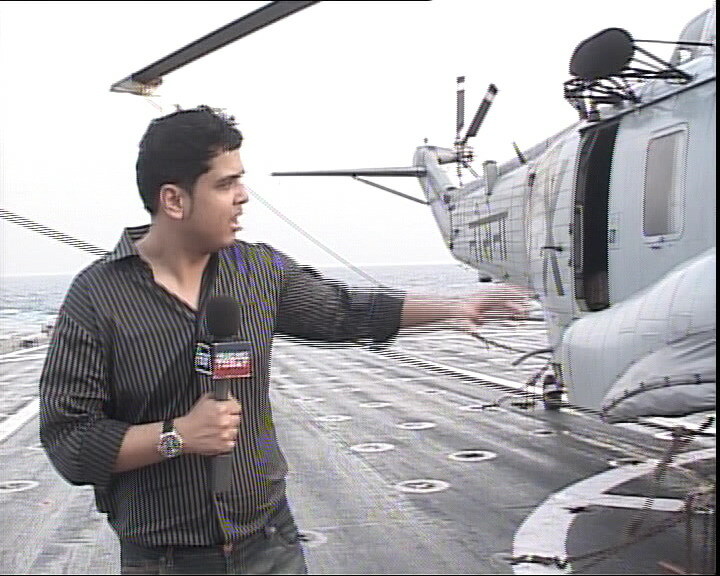 Watch Headlines Today at 7.30PM today for my special report on a day at sea with the Indian Navy, two years after 26/11. Will post Youtube versions tomorrow for those who can’t watch. [UPDATE] Watch the show here. Dear shiv…Please please please post ur show tomm on youtube….My Mom and sis watch stupid stuff on tv and they do not let me watch…. PS—–We are really Proud of u bro….ur the 1s guy in our country doin a Defense Correspondence who actually knows what he is talking about…. PSS—-KEEP UP THE GOOD WORK…. Maverick: You're very kind. Will post the vids. Shiv are you the only and exclusive or there are other defense correspondents? If you are one n only, then bham bham bhole….will watch your stuff. Man u r 1 lucky guy. wish i had a job like that. What channel is that BTW, as I am in Oslo, Norway. Its Headlines Today, an english news channel. it was really fantastic. i watched your brodcast and the way hosted entire show was awesome. Especially the moment when you were transfered between INS Ranvir and Rana. Again Thanks for the show and best of luck for the future. What BEL had been offering was the wholly imported Israeli ELTA-built X-band EL/M-2226 radar (20km-range) coipled to a LORROS optronic sensor. The Saab-delivered system will have dual band (S and X) band antennae with a 50km range. It's BEL. I am part of that project. We won the order long time back and the trials are over finally. If you have any doubts, welcome to our factory. And, who are you, the great defence expert? Shame on you guys who are anti-DPSUs. Livefist, please check facts before they are posted. Bangalore-based Bharat Electronics Limited (BEL), the public sector defence behemoth, expects to secure contract for the first phase of the coastal surveillance system for Rs700-800 crore from the Coast Guard by next month, a top company official said. “We are going ahead with the initiative, which we have taken on our own using internal funds, because this is very very crucial project for the country’s security,” Ashwani Kumar Datt, chairman and managing director, BEL said. If you're so concerned about 'anti-DPSU' postures, then perhaps you ought to start by telling your company's CMD (if you indeed are part of the project) not to tell lies to the media in the first place!!! To Anon@6.54AM: No apologies for disappointing you. Brace yourself for more to come.